How Do You Know if You Need My Snoring Solution Chinstrap? The only reason most people know they snore is because someone has told them. There are plenty of people who have no idea that they snore. Maybe you are one of them. If you are single, or have a partner who is an extremely heavy sleeper, or a snorer, too, then you may not know that you are one of 40 million Americans plagued by a sleep disorder. 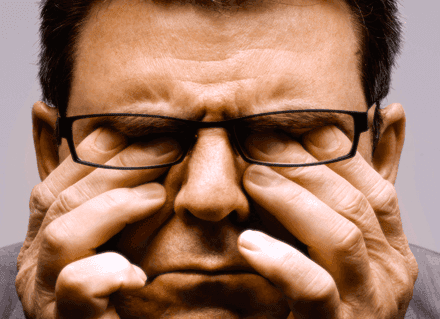 Although snoring is generally thought of as a sleep disorder, it can also be a symptom of one. Interestingly, it can be a symptom of many medical conditions, too. In addition to snoring, other common sleep disorders include obstructive sleep apnea (OSA), parasomnias, insomnia, sleepwalking, and teeth grinding, just to name a few. Sleep disorders can adversely affect your present and long-term health. However, in many cases, they can be treated. If My Snoring Solution works for you, you ultimately decrease your risk for other conditions. So, how do you figure out if you are snoring, if you have no one to tell you? If you have any of the following signs, you may be a snorer. When you prevent snoring, you can get a restful night sleep, your body fully recharges, so you wake up feeling refreshed. If you are not experiencing this, My Snoring Solution may be an option for you. Learn more about this product in my full My Snoring Solution chinstrap review. It has a 90-day money back guarantee, so if it works then you can ultimately improve your health. If not, you can return it, and try a different option.